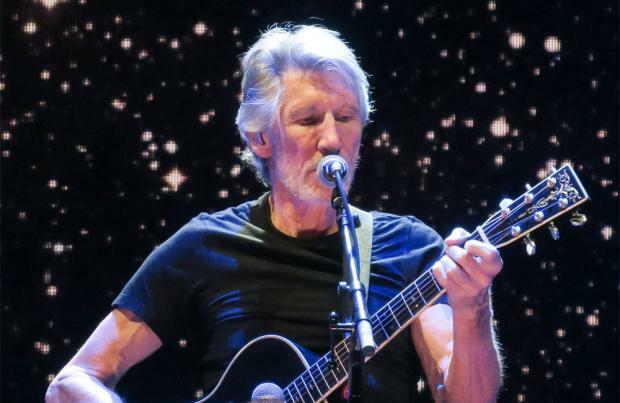 Roger Waters thinks Maroon 5 should "take a knee" during their Super Bowl Halftime show. The 'Moves Like Jagger' band – who will be joined by special guests Travis Scott and Big Boi – have sparked fierce backlash for agreeing to perform at the game despite controversy surrounding the NFL due to protests over racial inequality. In a statement, the Pink Floyd star said: ""My colleagues Maroon 5, Travis Scott, and Big Boi are performing during the halftime show at the Super Bowl this coming Sunday, I call upon them to 'take a knee' on stage in full sight. His comments come after former San Francisco 49ers quarterback Kaepernick started the movement by kneeling during the US National Anthem. Now, Roger has urged Adam Levine and his bandmates to do the "right thing" when they take to the stage on February 3. "So, there you go my brothers, you are faced with a choice, I'm not saying it will be easy, all the Presidents men, all the huffers and puffers, will be royally p***ed off, but, $#@%'em, I call upon you to do it because it's the right thing to do and because somewhere inside you know it. (sic)"
His comments come as Adam defended the 'She Will Be Loved' group's decision to perform at halftime during the game between the New England Patriots and the Los Angeles Rams. He explained: "No one thought about it more than I did. No one put more thought and love into this than I did ... I spoke to many people, most importantly though, I silenced all the noise and listened to myself, and made my decision about how I felt."